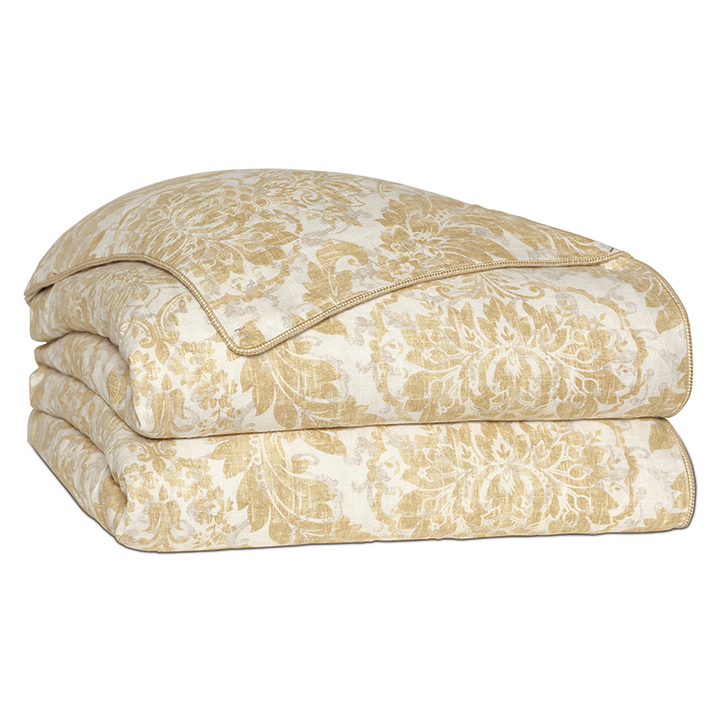 Treat your home to Sabelle’ s casual elegance. 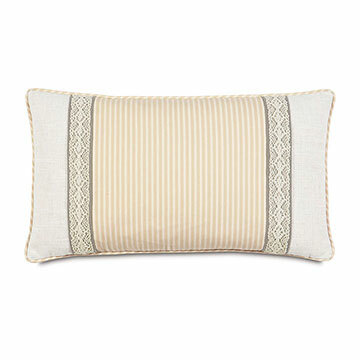 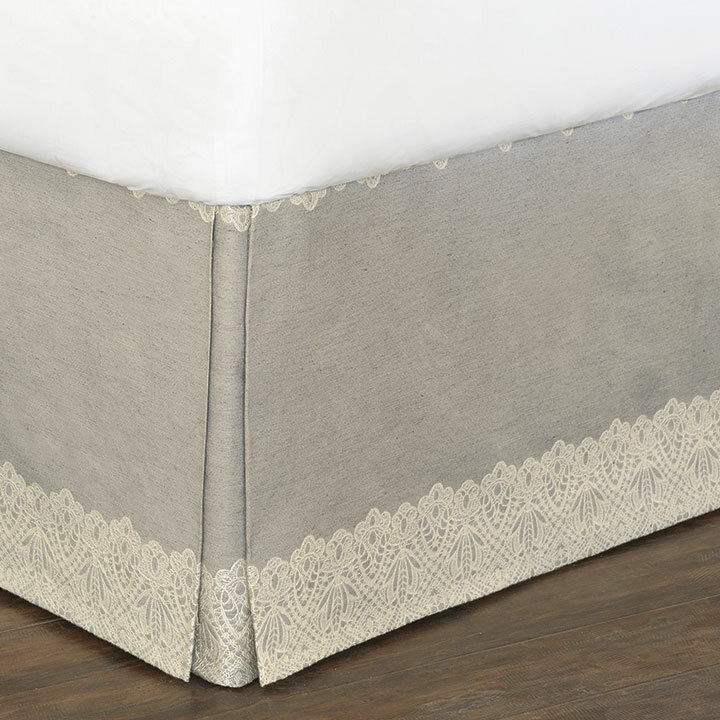 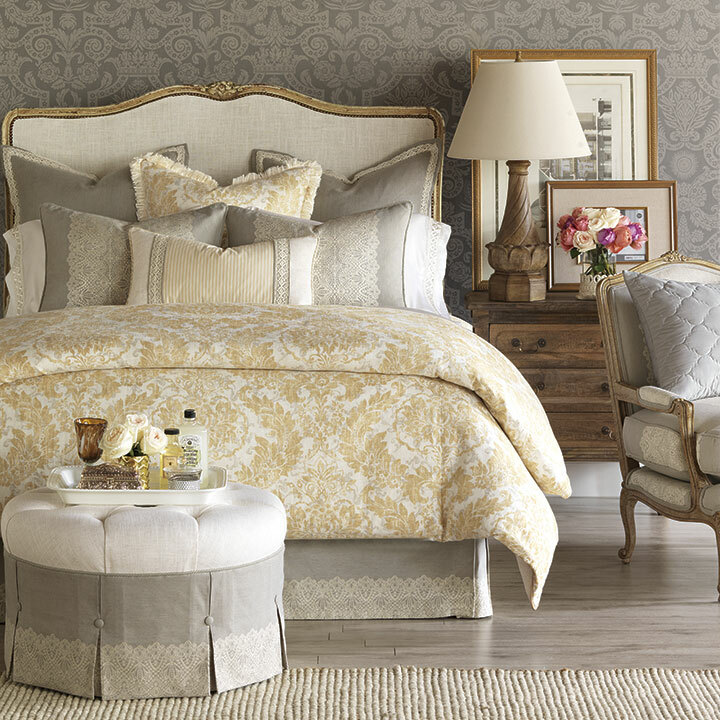 In light tones and soft linens, this cool, feminine bed will brighten any room. 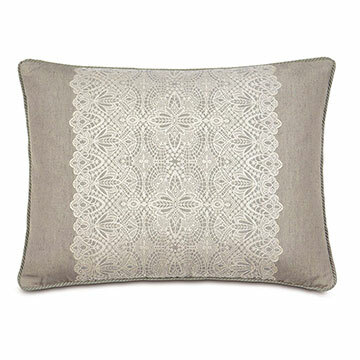 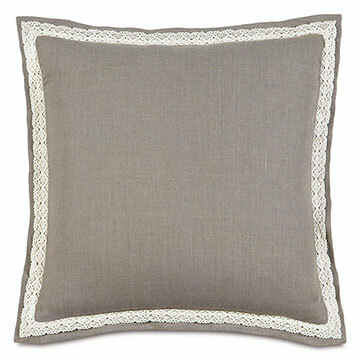 Its frilly, fun, and sophisticated decorative pillows each bring their own touch of charm to the collection. 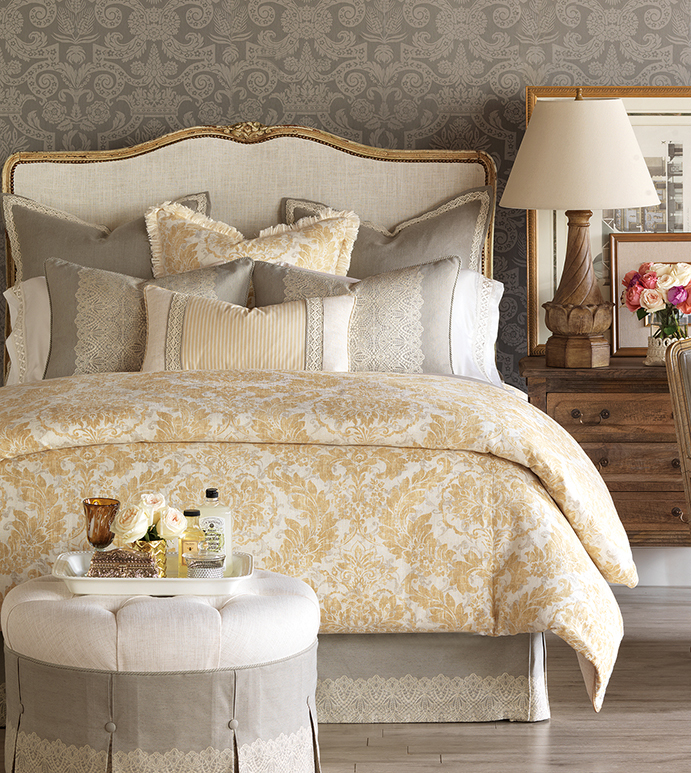 Luxurious and on trend, our Viola Dove coverlet from de' Medici makes the perfect complement to this chic collection. 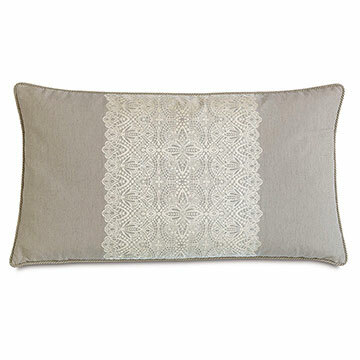 Shown with de’ Medici Juliet in White with Ivory lace.